If you are in retail, you can’t afford to miss the big show in New York: NRF 2018 from January 14 – 16. 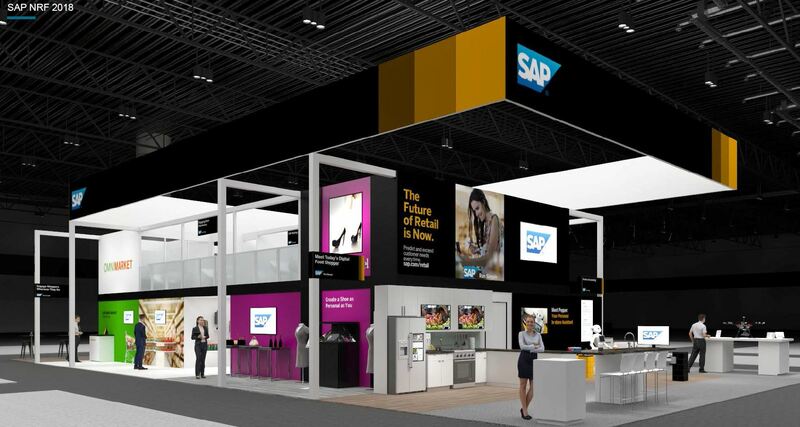 And if becoming an outstanding digital retailer is top of mind for you, start at the SAP booth, because every retailer needs a trusted digital advisor. Let’s face it – in our digital age, technology is the key to success for every retailer. It enables you to attract and maintain loyal customers and to track and understand consumer behavior. Take the case of fashion retail, a great example of how retail and technology are forever joined at the hip as companies everywhere cater to demands for customer convenience. Don’t forget – your customers are real shoppers, people with real lives. Perhaps your customer is a forty something father of two getting breakfast ready for the kids before they dash off to school and work. Find out how IoT, augmented reality and machine learning could make grocery shopping quick, easy and personal so that breakfast is a stressfree experience for the whole family. Or perhaps your customer is a busy professional out on a lunch break. See how different shops can provide completely different shopping experiences as she browses for that special item. Or maybe your customer is a gen-z consumer using his mobile for daily shopping experiences. Whether he is ordering a pizza from home or buying merchandise at a sporting event, he is experiencing retail anywhere, everywhere. These are everyday examples of shopping experiences in a digital world that you can experience for youself at our booth – but even more important, you will learn about the the technology that makes it happen. Becoming a true digital retailer requires three things: delivering an amazing customer experience, adapting to changing business models and leveraging new technology. Come to the SAP booth to meet experts who can help you evolve your business in new directions using a balanced approach. At our booth you can touch and feel and experience real world use cases with the help of Chat Bots, Drones, and Pepper the Robot. You can also network, attend sessions, and watch demos to learn how SAP Cloud Solutions can help get your business where it needs to be. The future of retail is now! It’s about understanding your customer and using innovative technologies. Watch this video featuring SAP Hybris customer Sealed Air and Forrester Analyst Brendan Witcher to gain more insights about the retail business of the future. This gives you an idea of the conversations we would like to have with you. Find out more and schedule a meeting with us at www.sap.com/nrf.